As the first day of our inaugural school year approaches, we're thrilled to unveil to you the team that will make up the founding faculty & staff of BASIS Independent Fremont. Many thanks to all who have participated in our numerous hiring events that have led to the hiring of such a talented group of professionals. We're pleased that you took part in such a crucial process of the establishing of our cohesive school community. 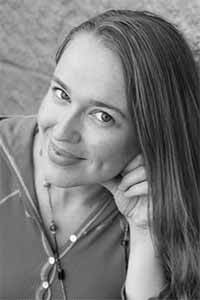 We're pleased to introduce to you Heather Burley, Subject Expert Teacher: Drama at BASIS Independent Fremont. Ms. Burley received her Bachelor of Arts degree in Theatre and a Master of Education degree in Teaching and Learning from Ohio State University. Mrs. Burley possesses a Pre-Kindergarten through Twelfth Grade Drama/Theatre teaching license. Ms. Burley’s goals as an educator are a perfect match to the BASIS Independent approach to education. Ms. Burley loves developing drama lessons within the framework of a STEM focused liberal arts curriculum. She believes strongly in building the connection between the arts and STEM subjects, preparing students to engage in critical thinking, creative thought, and collaborative inquiry. You're invited to a Special Open House event on May 22 to learn more and meet our passionate teachers in person!